1907. Report on Agricultural Congestion, Bantry District. 1841, population density. 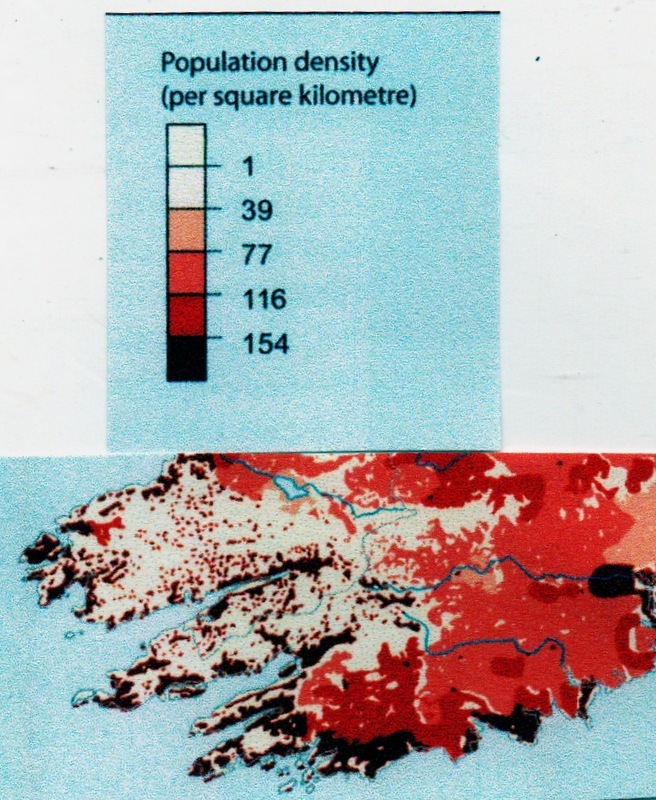 This map is taken from The Atlas of the Irish Famine, John Crowley, William J. Smyth and Mike Murphy, Cork University Press 2012. The population density of the populated areas is calculated by excluding mountain, lake and bog. The result is a density comparable to China, India and Haiti.